The name of today’s game is all kinds of simple. Five awesome houseware gift ideas that are perfect for housewarmings, weddings, houseguest presents, and everything in between. I think we’re all a little desensitized to those hunks of metal sitting in our kitchens by this point. But you have to admit, there’s something about those homes that tuck their (dare I say it, unsightly?) appliances behind cabinet doors. For a more creative spin, how about a magnet tailor-made to suit your fridge’s style and your home’s decor. 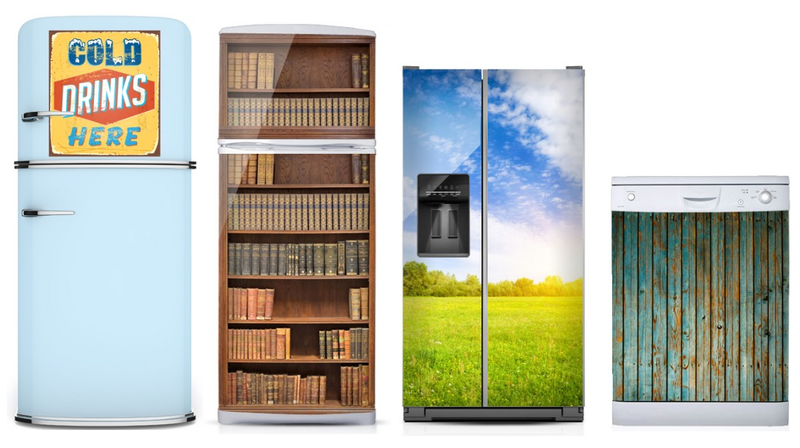 Whether you want to reflect a personal interest or a general theme, KUDU has dozens of artistic interpretations to turn your fridge (or dishwasher) into a unique, artistic portal. Plus, there’s no danger in hurting your home’s resale value if you’re leaving the appliances behind – just peel off the magnets and bring ’em with you! 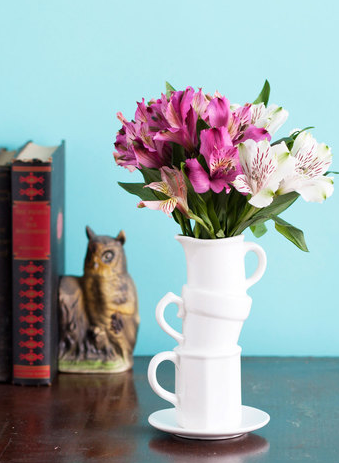 For the tea drinker or wannabe English rose in your life comes this quaint and charming afternoon tea-inspired vase. What looks like a precariously stacked set of porcelain cups is actually one complete piece that’ll add a bit of whimsy to any dining room or entryway table. Fill it with seasonal blooms for a country yet chic look. A perfect choice for mom as a thank you or that coworker that’s absolutely obsessed with her Earl Grey. 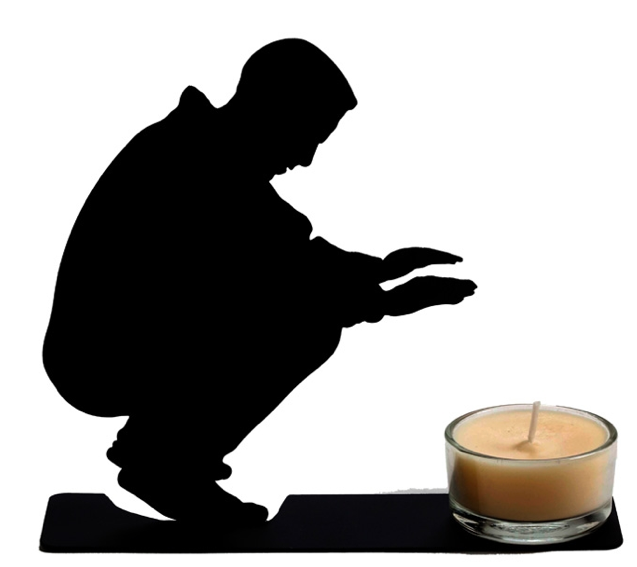 Candles give rooms a warm, homey feeling – as evidenced by this unique silhouette tea light holder. Just picture yourself getting nice and toasty warm when you light one of these amongst a bushel of candles! Best of all, it’s the kind of thing that every dinner party guest you have will comment on. The price point (with half-decent UK shipping rates) makes it an ideal pick for a friend’s first home. 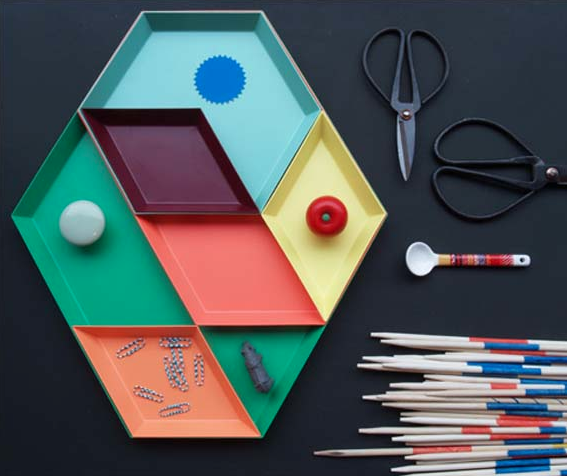 Whether you use these nifty trays to sort the odds and ends of your office, fill them with tasty treats for a snack session with your pals, or simply arrange them artfully as tabletop decor, guaranteed they’ll make a serious style statement in your home. Available in a range of shapes, sizes, and colours, these tropical-hued powder coated steel metal trays can be combined in endless variations to suit your mood, occasion, or decor. I originally spotted this spectacular, South Carolina-based shop when I was doing research for my Emerald City post awhile back. While I was originally on the hunt for (and found) that quintessential shade of emerald, I was genuinely dazzled by Motif’s colourful array of high-end pillow covers, designed to punctuate your home decor with a serious pop of colour, pattern, and even texture. To me, throw cushions are one of the *best* gift ideas you can buy someone; it’s an easy way to freshen up a room and make those old pieces of furniture feel brand new (especially when paired with a new coat of paint on the walls). Because Motif only sells the covers and not the pillows, shipping is lower and you can easily find a standard-sized pillow at your local home decor store or IKEA. With over 1,700 sales and counting, it’s clear to see the rest of the home design-loving world has jumped onto this shop’s very stylish bandwagon. How’s this for cool? I’ve got the chance to give one of you lucky readers a Motif pillow cover of your own (valued at up to $75) to deck out that spectacular armchair in your living room or as a final accent pillow on top of your guest room bed. Here’s how to enter! 1) Leave a comment by July 30th with a link back to your favourite pillow from the Motif shop website along with your favourite featured decor item in this post. 2) Entries are limited to one per person / per email address / per household (or more if you score bonus entries). A random draw will be conducted on or around July 31st to select the winners, who will have 48 hours to respond before another winner is chosen in their place. 4) Bonus Entry: Easy peasy. If you’re a subscriber, remind me in the comments below to earn yourself a bonus entry. And hey, you never know when other bonus entry opportunities might pop up on my site, right? The Motif Pillows are my favourite featured decor items in this post. I like the Beautiful Balance Vase – very cool! I love this one, elephants and umbrellas! and I think the vase is so neat! I also like the balance Vase – an eye-catcher for sure. I love the beautiful balance vase!! http://www.etsy.com/ca/listing/113110649/designer-mint-green-pillow-green-grey?ref=shop_home_active Designer Green Pillow. I am an email subscriber. My fave featured decor item is the beautiful balance vase. My favourite motif pillow is http://www.etsy.com/ca/listing/103899770/decorative-designer-blue-blue-pillow?ref=shop_home_active. From this post I like the KUDU magnets, especially the nature scene. I like the Beautiful Balance Vase. The Balance Vase is absolutely terrific, so me ! and my favorite pillow is the Modern Pillow http://www.etsy.com/ca/listing/130611356/modern-pillow-20-x-20-aqua-blue-purple?ref=shop_home_active or gee maybe it’s the Aqua Teal Green Citrine Blue Trellis Ikat Pillow Cover http://www.etsy.com/ca/listing/114294953/decorative-pillow-cover-aqua-teal-green?ref=shop_home_active. I really like them both. and my favorite decor item would have to be the beautiful balance vase, very unique! Yellow Gray Pillow – Citrine Yellow Grey Floral Geometric Pillow Cover – Modern Flower Yellow Grey Throw Pillow would be my choice. http://www.etsy.com/ca/listing/153771520/decorative-designer-pillow-cover?ref=shop_home_active I fell in love with the Beautiful Balance Vase! the mexican otomi case tickles me a bit! My favourite pillow is the Floral Pillow at http://www.etsy.com/ca/listing/155600761/floral-pillow-yellow-turquoise-red-pink?ref=shop_home_feat and my favourite featured decor item is the Warming Candle Holder. I love the warming candle holder. I like the Decorative Designer Coral Pillow http://www.etsy.com/listing/150382945/decorative-designer-coral-pillow-red?ref=shop_home_active and I love the Kudu Magnets from this post! I LOVE the animal prints..LOVE THIS Leopard one! I love this floral pillow case: http://www.etsy.com/listing/155600761/floral-pillow-yellow-turquoise-red-pink?ref=shop_home_active and think the KUDU magnets are a great idea! The Motif pillows are my favorite decor item. I like the Decorative Pillow Ikat Royal Blue White Teal Aqua Geometric Scroll Cover- Throw Pillow! I liked the Beautiful Balance Vase, I haven’t seen one like it. I am happily a subscriber! Coral Quatrefoil Pillow is my favourite. The “KUDU Magnets” are my favourite featured item. I love the KUDU Magnets as I am one of those collectors of a fridge full of magnets from all over the world. So thanks for the tip on the magnets. I love the KUDU magnets- they could really liven up my boring beige apartment. The KUDU Magnet is an awesome idea to dress up the appliances. I also like the magnets. My favourite pillow is http://www.etsy.com/ca/listing/155142978/designer-blue-pillow-cover-blue?ref=shop_home_active and my favourite featured item is the Motif Pillows. I like the Grey Brown Geometric Textured Pillow would match my sofa perfectly. 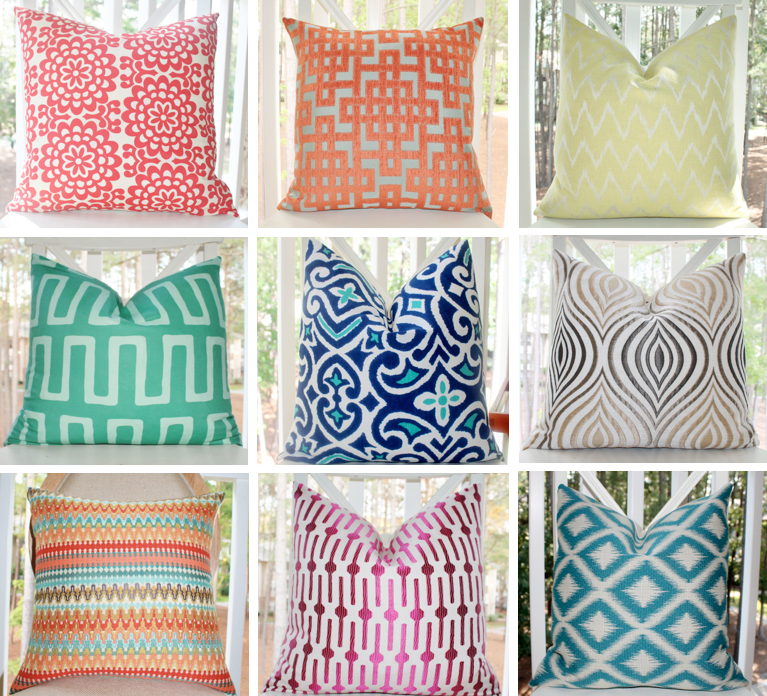 These Motif pillows are my favorite decor from this post. I am a subscriber of canadian gift guide. 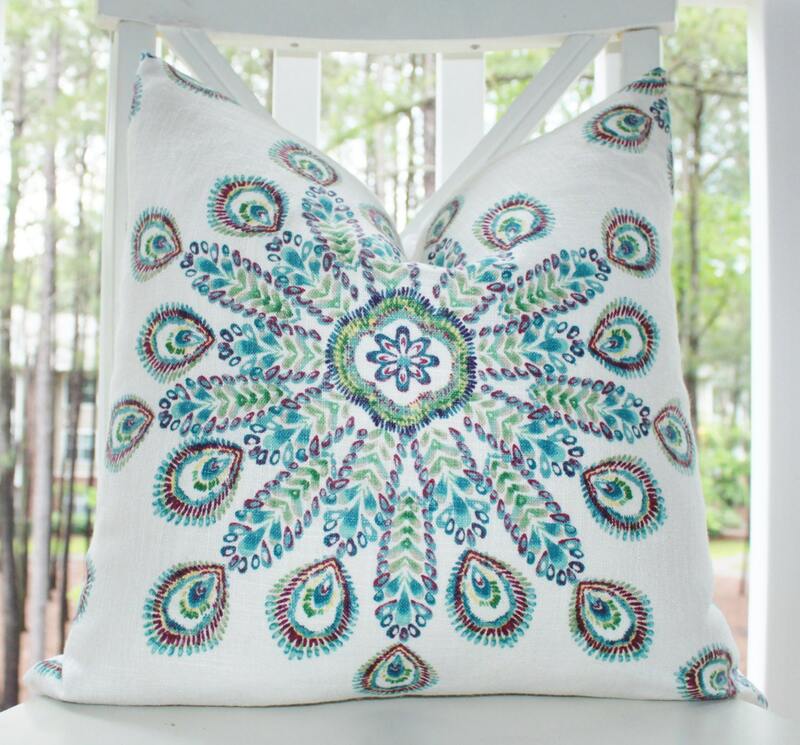 This is my favourite motife pillow http://www.etsy.com/listing/119923175/designer-blue-pillow-turquoise-peacock?ref=shop_home_active. I also love the Warming candle holder.